Hate starts small. The seeds of hatred are often unwittingly planted in childhood (Altemeyer, 2003; Baucal & Zittoun, 2013) and develop deep roots and strong branches over a lifetime of apathy, ignorance, or acquiescence. Hatred toward people who hold a different religious, spiritual, or nonreligious belief is not new. Religion’s history is imbued with the power to unite or divide (Allport & Ross, 1967), and offers sociocultural opportunities for developing bonds among people and creating bridges between people (Okulicz-Kozaryn, 2011). However, the complexities of religion (Hill et al., 2000) and the diversity which exists among believers of all expressions of faith amplifies the potential for religious prejudice to endure, and the link between religious belief and religious prejudice appears to be growing (Pargament, Trevino, Mahoney, & Silberman, 2007). Anti-Semitism is a form of religious hatred which is focused upon Jews and has existed, without ceasing, for over twenty-three centuries (Friedman, 2007). It is so prevalent throughout the world that it exists in places with almost no Jewish population (Morrock, 2012). Its universality and enduring intensity, together with its capacity to evolve (Morrock, 2012) has succeeded in creating a climate of tacit anti-Semitic acquiescence or ignorance, so ingrained within our social lexicon that most people assume that anti-Semitism no longer exists. Most troubling, however, is that Jews have endured anti-Semitism for so long (Mohl, 2011) that they may have become desensitized to its existence, although not to its affects (Leets, 2002). Religious racism (Hall, Matz, & Wood, 2010) toward Jews frequently manifests itself in the propagation of anti-Semitic stereotypes (Gold, 1996; Burstin, 1999), marginalization (Sue & Sue, 2013), microaggressions (Sue, 2010), stigmatization (Langman, 2004; Heatherton, Kleck, Hebl, & Hull, 2003), and a ubiquitous prejudice (Jackson, 2013) that is so deeply rooted within us that it materializes without our conscious awareness of it (Devine, 2001). The insidious nature of anti-Semitism ensures that the most religiously tolerant among us, who harbor no known prejudicial biases against Jews, may not be aware of the accurate reality or depth of their unconscious feelings. For example, the foundational bedrock of Christian ideology casts Jews in a negative locus by assigning the liability of Jesus’s crucifixion upon them (Mohl, 2011). While most Christians today do not consciously hold the Jewish people culpable in the death of Jesus, worldwide surveys repeatedly contradict this assumption (Pargament et al., 2007). If the perception of Jews as being solely responsible for the deicide of Christ is unwittingly circulating throughout places of worship, among families, and over social media it becomes a potent pathway, fueling anti-Semitic feelings which are safely encased among a socially acceptable form of religious belief (Pargament et al., 2007). Saving the Jews (as well as all other non-Christians) through religious conversion has been a hallmark of Christian belief (Linsley, 2000), conveying a privileged message of truth plumbed from Christian ideologies, which trivializes or negates alternate beliefs to Christianity. Additionally, the increase in religious fundamentalism across many different religious beliefs has been linked to incidents of violence, intolerance, and hatred toward religious out-groups (Emerson & Hartman, 2006) resulting in an environment which many Jews perceive as unsafe (Moon, 2012). The fear and reality of anti-Semitism causes many Jews to live their ethnic, cultural, or spiritual lives in secret (Gold, 1996). Another Holocaust is always possible (Friedman, 2007). Disturbingly, anti-Semitism is an evolving form of religious hatred, whose presence is currently experiencing an alarming worldwide resurgence (Cohen, Jussim, Harber, & Bhasin, 2009; Marcus, 2007). Overt forms of anti-Semitism still endure, although modern anti-Semitism has found expression through the frequent use of covert or subtle interpretations of religious hatred, exemplified through the use of microaggressions, such as the universalized designation of the Hebrew Bible as the Old Testament and the Christian Bible as the New Testament, which subtly implies that the Hebrew Bible is obsolete and has been supplanted by the Christian Bible. Modern communication pathways like the Internet and social media have facilitated the widespread broadcasting of anti-Semitism, while the prevailing attitude toward anti-Semitism and its psychological and social implications have become trivialized, marginalized, denied, or dismissed (Grossman, 2014). Compounding this problem are the unchallenged and unchecked ways in which Jews are stereotypically and negatively portrayed in movies, television, and literature. This serves to continually indoctrinate new generations to the recurring stereotypes against Jews, while successfully cementing existing stereotypes among current generations, passively facilitating the generational continuation of anti-Semitic biases against Jews. Langman (2004) has noted the astonishing complexity of Jewish identity, represented as an ethnicity, a religion, and a cultural way of life, which can be confusing and frequently misunderstood by non-Jews, including those in education. One of my professors in graduate school patiently explained to me that Jews were not an ethnic group or a distinct culture, they were merely a religious group, and my paper was graded accordingly. America is dominated by Christian privilege, which affords Christians, as the predominant religious group, a large array of unearned rights and privileges denied to people of other faiths or beliefs (Schlosser, 2003; Blumenfeld, 2006). The overarcing umbrella of Christian privilege creates an implied subjugation toward non-Christians, normalizing Christian beliefs as correct, while unwittingly oppressing and marginalizing the religious beliefs of non-Christians (Blumenfeld, 2006), thus creating an environment for anti-Semitic tendencies to develop. Inherent among the ethnocentric belief in Christian privilege is the right Christians may unconsciously claim to define or determine what is an example of anti-Semitism and what is not (Duncan, 2003), resulting in Jews who feel the frustration of religious, ethnic, or cultural prejudice and denigration, compounded with a feeling of futility in their quest for religious equity (Singer, 2008). Most people are unaware of the fact that denying the existence of anti-Semitism, or discounting its impact are actually forms of anti-Semitism (Beck, 1982). The horrors of the Holocaust have long passed, resulting in the genuine belief among many people that anti-Semitism ended with World War II (Horowitz, 2005). This erroneous assumption serves as a catalyst for the creation of resentment, resignation, or anger among Jews (Kiselica, 2003) who continue to endure the highest levels of victimization through religiously motivated hate crimes than any other group (Sue & Sue, 2013). Even though the First Amendment of our Constitution guarantees the free expressions of all faiths and beliefs, the unfortunate reality is that this does not occur (Hodge, 2007). As a Jewish American I have experienced anti-Semitism throughout my entire lifetime. From the seemingly innocuous questions as to why I do not celebrate Christmas and Easter, believe in Jesus as the Savior, or eat ham, to the more disturbing statements from well-intentioned individuals, who affirm that all my dead family members will burn in hell because they were not saved (but there’s still time to save me), to the earnest requests to see the horns growing on my head, to being asked to explain and defend my faith for all Jews, to people who deny the scope and magnitude of the Holocaust and the Jews’ role in it. Often, the examples of latent or covert anti-Semitism occurring today are the result of good people being unaware of the meaning and consequences of their religiously discriminatory statements, actions, or beliefs (Hodge, 2007). Education alone is not enough to create an environment of religious tolerance (Leets, 2002). Anti-Semitism is a challenging and often divisive topic, frequently met with vigorous pushback, and remains largely unexplored within the field of psychology (Bloom, 2007). We are ethically bound to carefully monitor and evaluate our own levels of religious bias and prejudice. It is imperative that we conscientiously and honestly explore whether we are unwittingly harboring or propagating anti-Semitic beliefs (Kiselica, 2003). For example, what feelings were evoked within you as you read this article? No one wants to confront the uncomfortable reality of prejudice within themselves, and I have yet to hear one person admit that they may possess some marginal level of anti-Semitic beliefs, yet every single one of us harbors our own constellation of biases and prejudices which create tangible repercussions, impacting everything that we think and do. As professionals we must be unafraid of unearthing and exploring these feelings so that we can take appropriate steps to mitigate and minimize their influence. Confronting anti-Semitism on an individual level is crucial if we aspire to the elimination of religious intolerance and hatred on a worldwide level (Kiselica, 2003). Regrettably, anti-Semitism is not a resolved footnote in our collective past, nor is it simply a Jewish problem that we can politely ignore (Prager & Telushkin, 2003). It is an evolving litmus test for hatred of all kinds. The noble goal of peaceful coexistence among all peoples of all religious and nonreligious beliefs must start with an accurate assessment of our own biases and prejudices so that we may experience true religious tolerance and equity, unencumbered by the suffocating weight of religious oppression (Martin, 2005). A portrait of Jewish Americans; Findings from a Pew research center survey of U.S. Jews. (2013). Washington, DC. 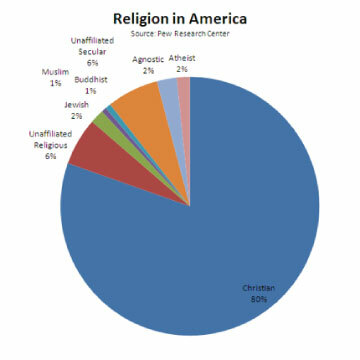 America’s changing religious landscape; Religious landscape study. (2014). Washington, DC. Beck, E. (1982). “Why is this book different from all other books?” In E. Beck (Ed. ), Nice Jewish Girls: a Lesbian Anthology (pp. xiii–xxxvi). Watertown, MA: Persephone. Duncan, J. R. (2003). Privilege, invisibility, and religion: A critique of the privilege that Christianity has enjoyed in the United States. Alabama Law Review, 54, 617. Gold, N. (1996). Putting anti-semitism on the anti-racism agenda in north american schools of social work. Journal of Social Work Education, 32(1). Grossman, G. (2014). The re-shaping of anti-Semitism through the ages. The Journal of Psychohistory, 41(3), 198–208. Heatherton, T., Kleck, R., Hebl, M., & Hull, J. (Eds.). (2003). The social psychology of stigma. New York, NY: The Guilford Press. Hodge, D. R. (2007). Social justice and people of faith: A transnational perspective. The Social Worker, 52(2), 139–148. Horowitz, I. L. (2005). New trends and old hatreds. Society, 43(1), 44 – 50. Jackson, L. (2013). The psychology of prejudice; From attitudes to social action. Washington, DC: American Psychological Association. Langman, P. (2004). Jewish issues in multiculturalism; A handbook for educators and clinicians. Lanham, MD: Rowman & Littlefield Publishers, Inc.
Linsley, S. (2000). Saving the Jews. Journal of the Early Republic, 34(Winter), 625–652. Martin, J. P. (2005). The three monotheistic world religions and international human rights. Journal of Social Issues, 61(4), 827–845. Mohl, A. (2011). The evolution of anti-Semitism: Historical and psychological roots. The Journal of Psychohistory, 39(2), 115–128. Prager, D., & Telushkin, J. (2003). The reason for anti-Semitism: Why the Jews? New York, NY: Touchstone. Sue, D. W. (2010). Microaggressions and marginality: Manifestation, dynamics, and impact. (D. W. Sue, Ed.). Hoboken, NJ: John Wiley & Sons, Inc.
Sue, D. W., & Sue, D. (2013). Counseling the culturally diverse: Theory and practice; Sixth edition. Hoboken, NJ: John Wiley & Sons, Inc.